A serious incident happened during the Women’s Cup Winners’ Cup semi-final. A serious incident happened during the Women’s Cup Winners’ Cup Semi-final 1st leg game that took place in Podgorica on 11 April 2010. Eight seconds from the end of the game between Buducnost T-Mobile and Metz Handball, an unauthorised person entered the court surrounding area from the spectators’ area and attacked the coach of Metz Handball. 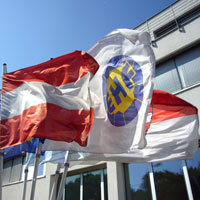 The EHF is currently looking into the circumstances and will inform on the matter.